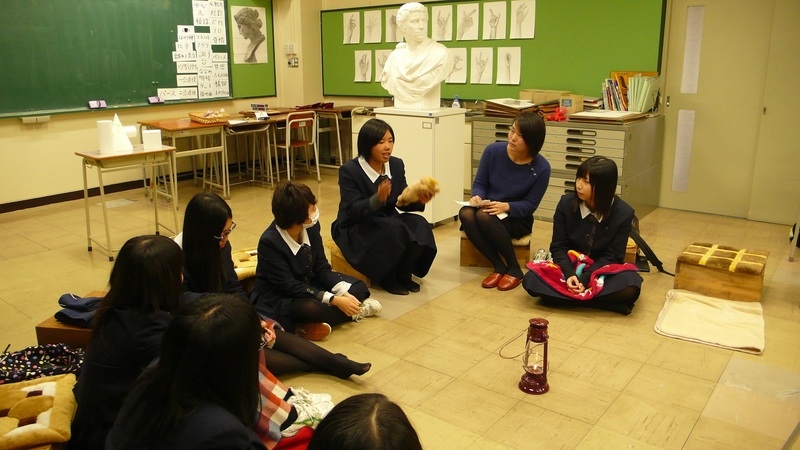 NAGASAKA Aki held workshop at Aomori Chuo Highschool on 26th November. 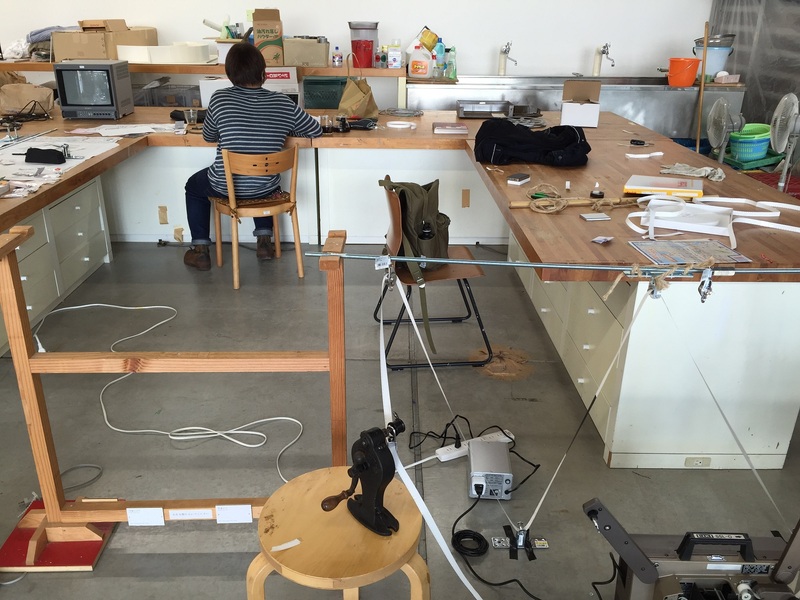 The workshop is to imagine by the hint which nagasaka gave to the students. 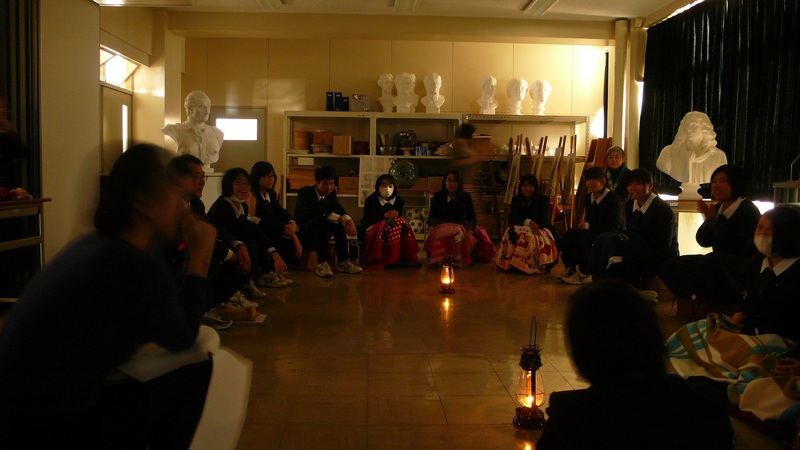 Nagasaka put the lamp and cushion in the classroom, and let the students relax. The room looks like camp in the night..
After 15min imazination, the students talk about their image. 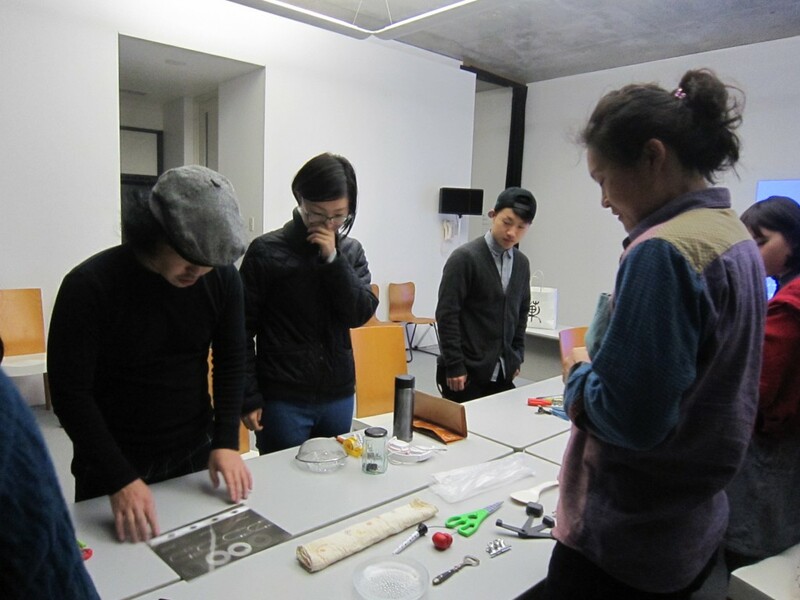 ALIMO’s workshop “Let’s make Rayograph” was held 9th November. 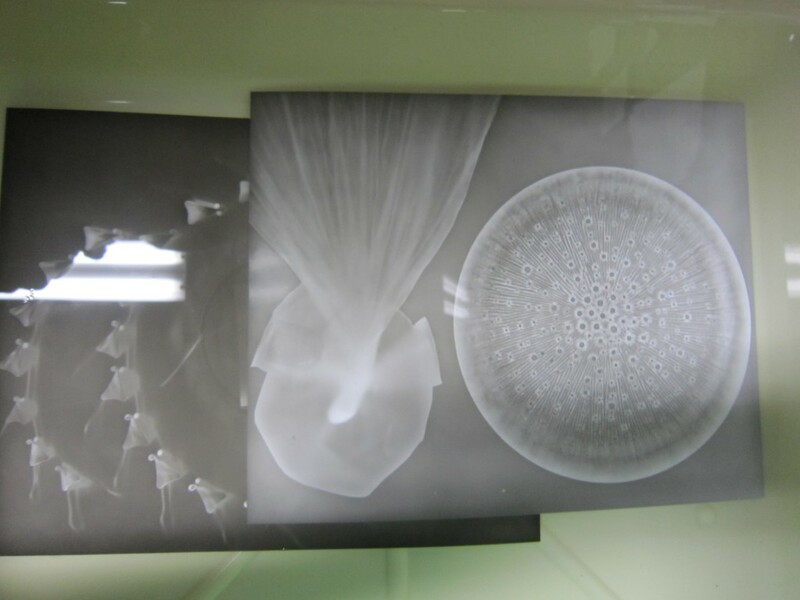 Rayograph is named by Man Ray, and is also called Phonograph . 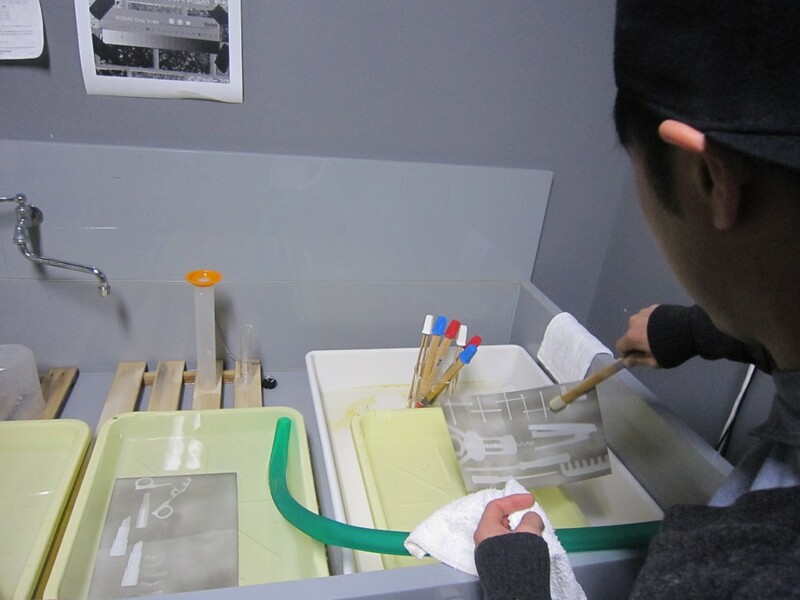 This is a technique that put the object on the photographic paper directly and expose. 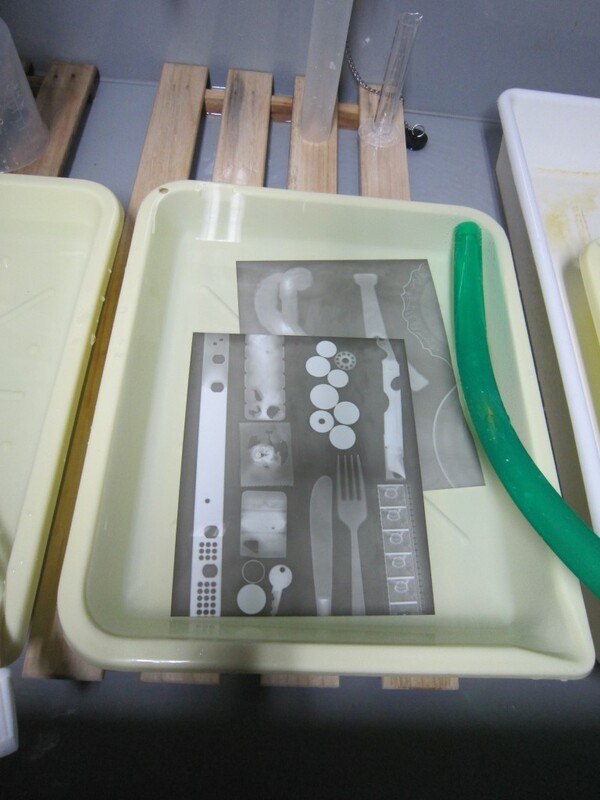 The participants took kitchen tools or stationery from their home, and used them for their Rayograph. 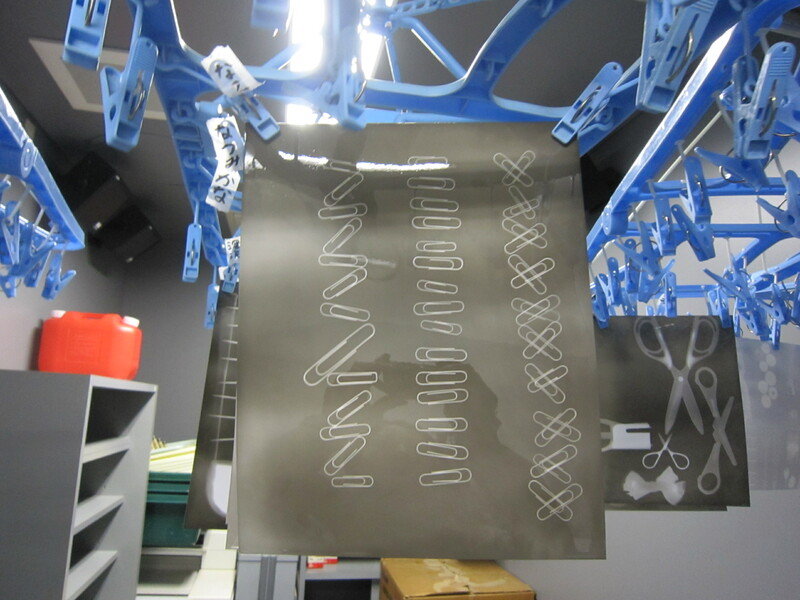 ALIMO will change their patterns to the sounds and consist in his art work. You may watch (or hear ) their Rayograph somewhere in the future. 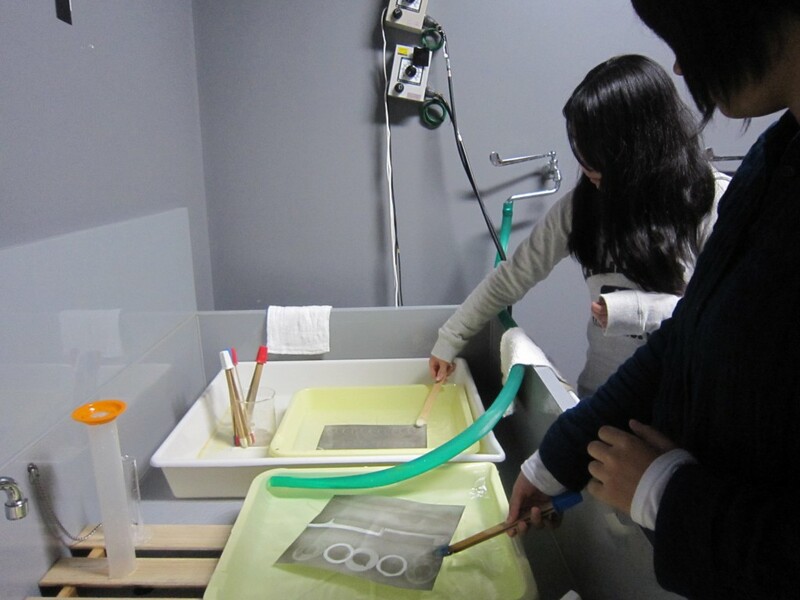 We have finished adjustment of LIAO Jiekai’s work. You can enjoy his work with twilight. 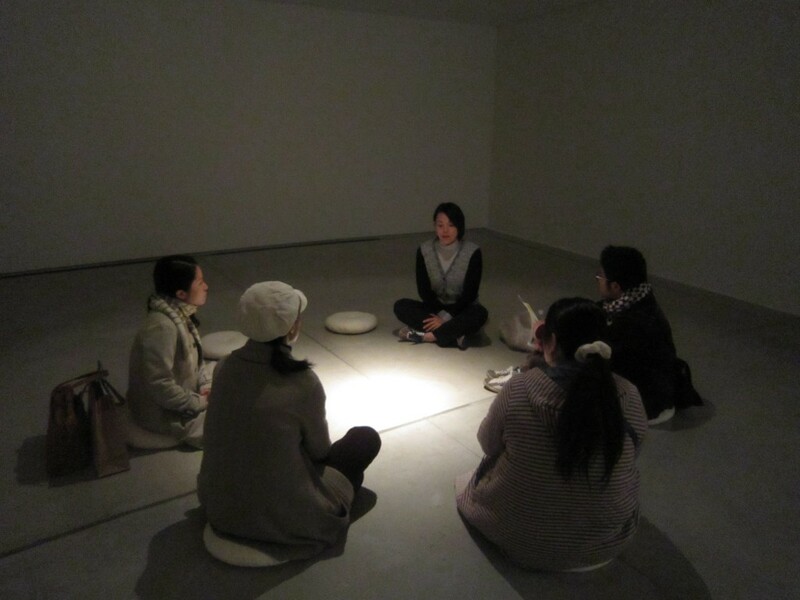 ACAC held “Regular Tour” which the visitors appreciate the exhibition with explanations from the educator. 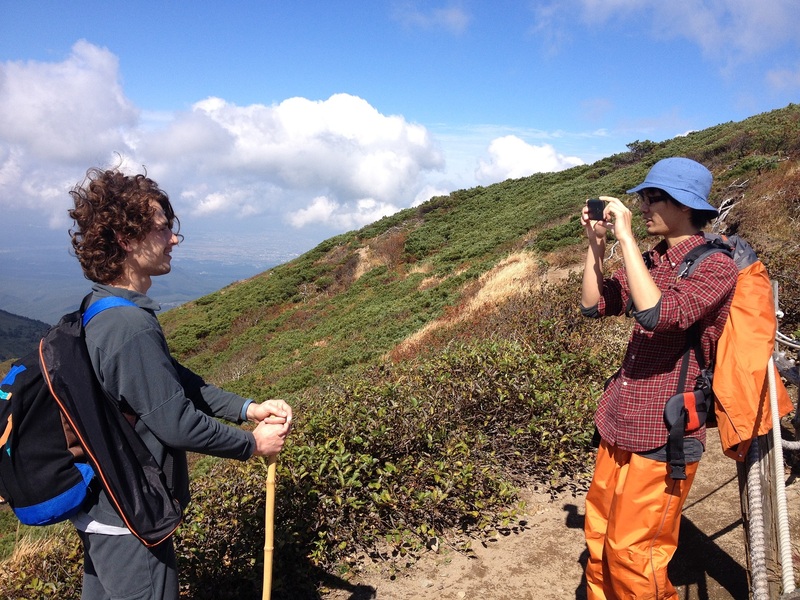 Nagasaka Aki performed the end of the tour. 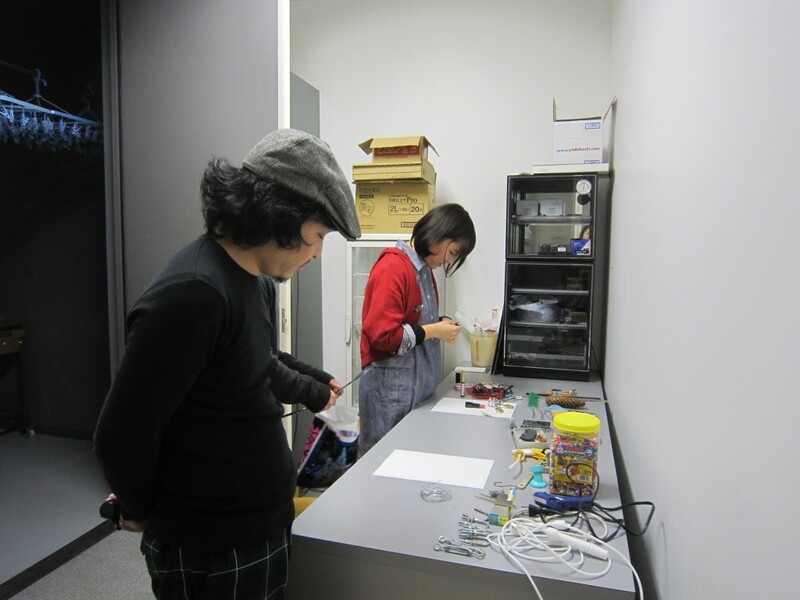 We are sorry, but ALIMO’s work and LIAO Jiekai’s work is under adjustment, and a part of the works are exhibited today (1st November). 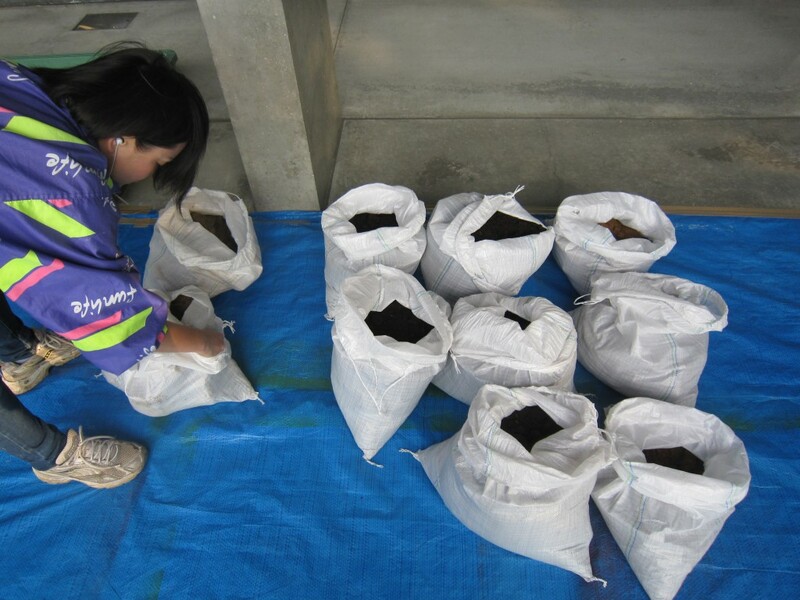 LIAO’s work will be planned to show from 4th November. 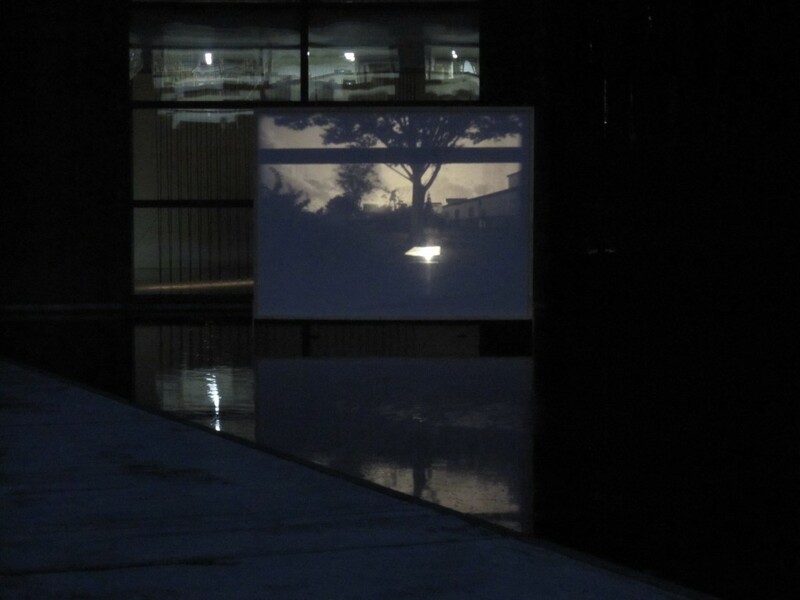 The time has come for Artist In Residence 2014/Autumn. 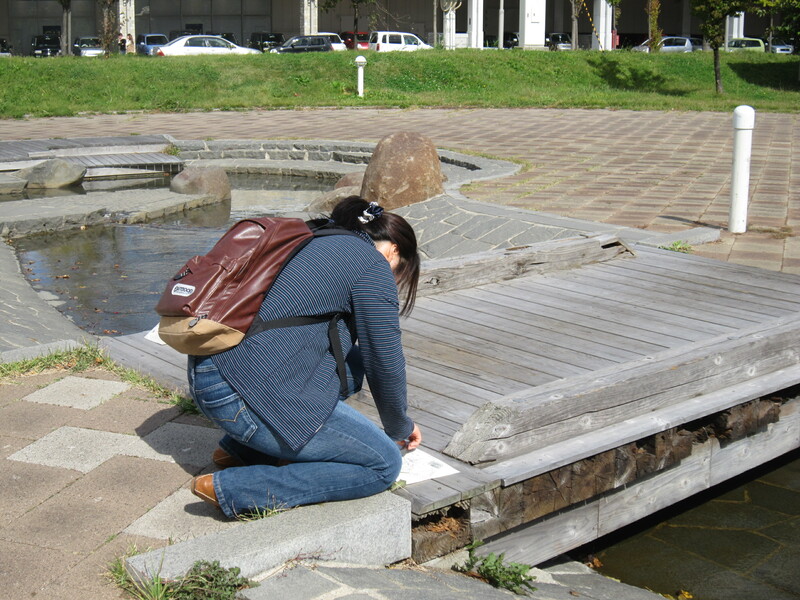 The artists arrived at Aomori on November and they are now working hard. 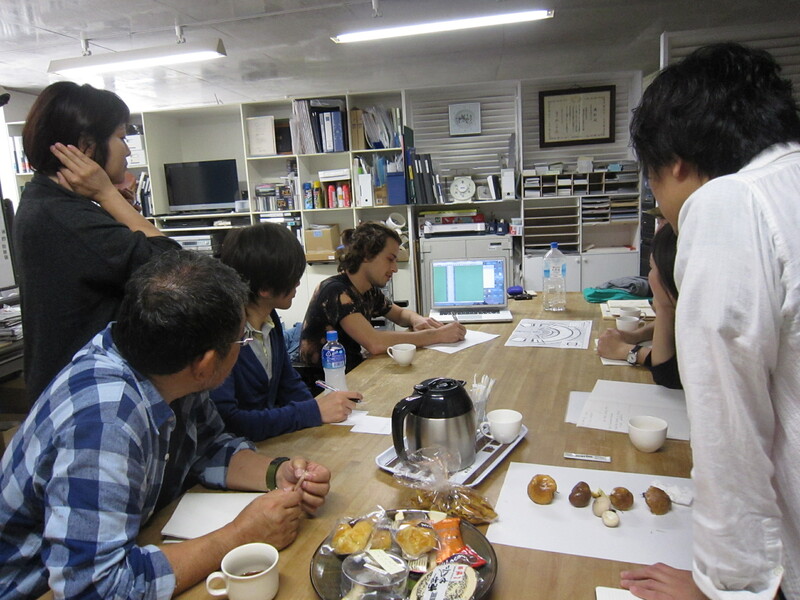 The end of November, we had a meeting with all artists and stuffs. 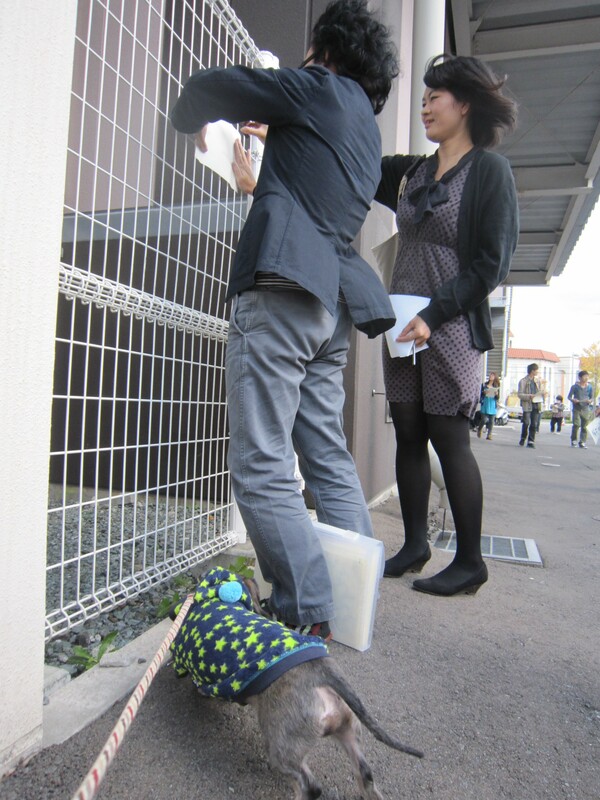 One had a workshop with students. (ALIMO/ animation, they walk around the downtown with dog, and did frottage. The exhibition will open on 25th October!